Wolfgang Berghe von Trips Exposition Decal. 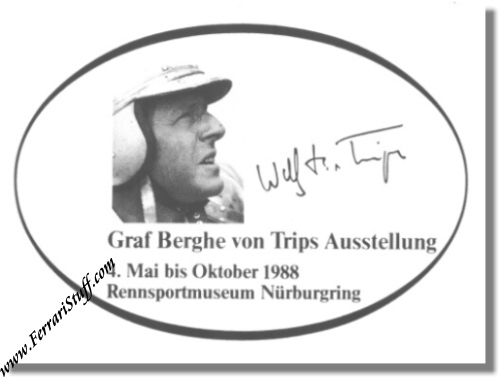 Wolfgang Berghe von Trips B&W Decal issued at the occasion of the exhibition held at the Rennsport Museum at the Nurburgring in 1988. It measures some 4 x 3 inches.